A little over 4 weeks ago, after much consideration, I decided to stop taking my mood stabilizers. I discussed it with my doctor and although he didn’t encourage my decision to get off of my meds, he understood where I was coming from and coached me through the process to ensure my safety. I’ve kept in close contact with him and even when I couldn’t make it to my appointment last week, we had a Skype session so that we could connect face to face. Based on his years of experience, he figured I would fall into a manic state within a couple of weeks. I continued taking my prescription for Wellbutrin and it only made sense that it may bring out a manic episode due to the lack of Latuda and Lamictal in my system. I have been on the maximum dosage of Wellbutrin for quite some time now as we tried to knock me out of my depression. I kept hoping mania would come. I am sure that may come as a surprise to some, but after being in such a dark hole for a prolonged period, even a bit of energy and excitement sounded incredibly appetizing. So far, nothing. I’ve continued on in this dismal existence for yet another month. I had truly hoped that the new year would bring change but after the holidays, I am exhausted. I shouldn’t feel bad for myself. I mean, compared to the depression I experienced a couple of years back, this is like a small rainstorm. I just miss the feeling of enjoying company. I miss wanting to go out or getting excited for an event or activity. I’m a grown woman and it shouldn’t be so difficult to just take a shower. Sometimes, I am disgusted by myself. I just want to hide from the world. Why isn’t there a pause button, dangit? I made it out of the house for all of the holiday celebrations this year. Somehow, I didn’t miss one, so I guess that’s a victory in itself. Some were easier than others. It’s nice having a few family members that understand. I was able to blend in enough that I don’t think it was painstakingly obvious that I was not in a good place. It takes a lot of energy to act like everything is okay when you’re in this state, though. I have been searching for inspirational videos on YouTube all morning and early afternoon. The last couple of hours were dedicated to the topic of law of attraction. I have a hard time grasping how that works for people with mental illness. I mean, of course I want to imagine myself in all of the dreams I have for myself, but when I’m depressed, I can’t even visualize what that looks like. Trust me, I’m trying. 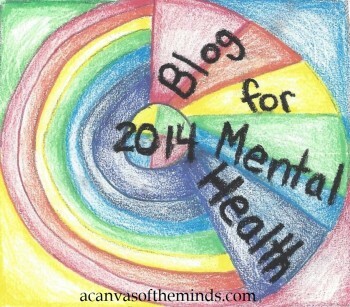 I’d love to be a writer, a public speaker, a song writer, an advocate for mental health. I used to easily create visions of the person I wanted to be; the things I wanted to accomplish. Today, the negative voices get so loud that they poke fun at me for even trying to press play. Every vision I bring into the forefront of my mind begins with me in a convention center, my books for sale on the table, a podium set up and ready for my appearance, but I cannot…for the life of me…see my face. I can see the red power suit, but I can’t locate my face. I’m trying to add other details and I’m just stuck. I will get there and that’s the message I keep telling myself. I felt as if I was going insane so I decided to come here and visit with you. There is a source of comfort that I find here in these words. Even though the voices tell me it’s not good enough, that nobody would want to read what I have to say, or not to put myself out here like this, I’m here. I’m going to keep coming back even if I only have one sentence to give. Here I am, back in the arena again. Sweat, blood, dust, coming up short again and again. I’m thinking of my brothers and sisters fighting their own battles, whatever they may be. No matter how many times we are on the ground ready to surrender, reaching for the white flag, barely able to breathe and certainly unaware of any light at the end of the tunnel, we continue to fight. Let’s stay here in this arena and give it another round.